In South, Africa drivers have to travel significant distances to sports events. The National road network alone covers a distance of 19,704km. The total distance covered by roads are however much more. GPS navigation leader TomTom has revealed that paved roads cover 162 651 km and unpaved roads a distance of 526 413km! With these long distances, it becomes more important for road safety authorities to emphasize the need for driver fitness and especially the risks of driver fatigue! It’s easy to underestimate the effect fatigue can have on a driver. In fact, according to research driver fatigue is a major contributing factor in up to 20% of all road traffic fatalities! Tiredness-related crashes have more devastating consequences than most other crashes. One reason is that there is no braking or steering adjustment prior to these accidents. A driver asleep at the wheel will not act to avoid an accident and consequently is much more likely to cause death or serious injury. In fact, tiredness-related accidents are 3 times more likely to result in serious injury or death compared to other types of road accidents. With many hours spent on the road driving long, straight roads at relatively constant speed, safe drivers know to be vigilant for signs of fatigue – especially between 2-5am, and during a ‘sleepy dip’ around 2 pm. 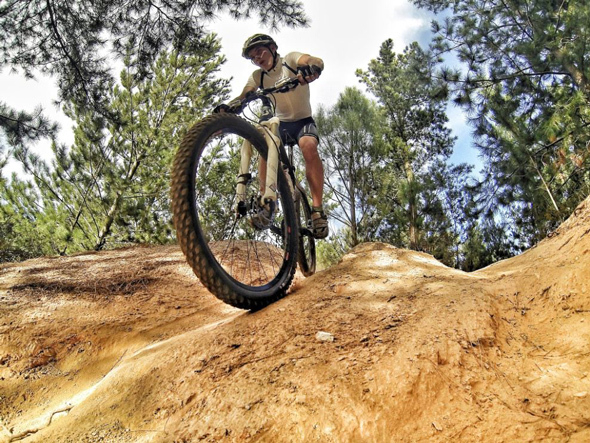 South Africa has become well known as a popular destination for the sports tourist! 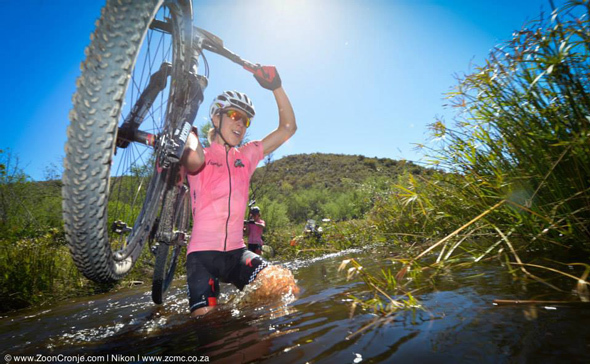 The South African weather, scenery and the ability of our sports organizers at event management have resulted in the successful hosting of a variety of outdoor sports events across the country. 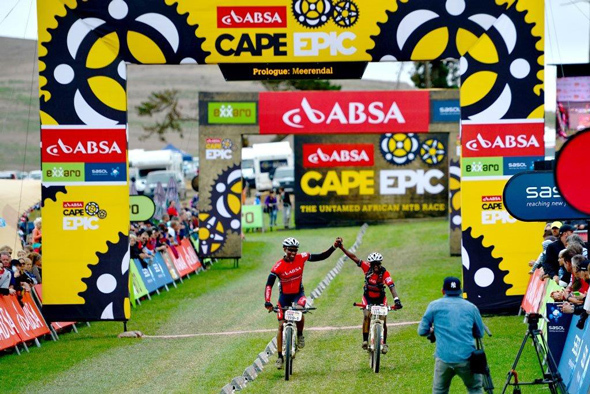 These include events such as the Absa Cape Epic, Cape Argus, Comrades Marathon, Duzi Canoe Marathon, Midmar Mile, Ironman and many other running, cycling, mountain bike and canoeing events! These are not merely sports events - but are also known as endurance sports where only the ultra-fit athletes can overcome the strenuous demands on their bodies! 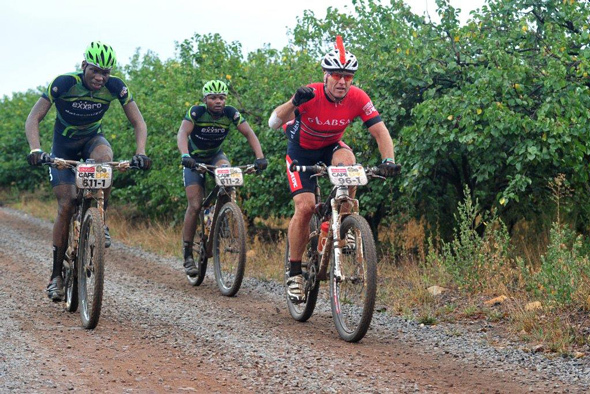 Extreme sports/endurance sports can be gruelling and are characterized by competitors who tend to be tough go-getters. These athletes live for the “natural high” and it takes more and more to get that psychological and biochemical effect, making them continually push towards the next level. Competitors in endurance sports like the recent Ironman are incredibly tough and able to focus on other things when they're running through cramps or their body wants to stop. Too often many drivers, particularly men, consider tiredness to be a weakness and will push on and try to overcome feelings of tiredness behind the steering wheel rather than admit that they should take a break and get some rest. The risks are that these competitors might plan well for the event, but not as well for the return travel home and this is where driver fatigue may pose a huge risk not only to themselves but also to other road users! It will be socially responsible for the event organizers to alert competitors to the risks of post-event driver fatigue in communications prior to the event! 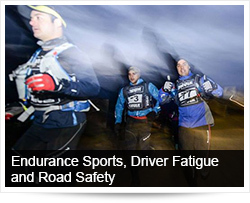 Not much has been written on the impact of endurance sports on driver fitness and the ability of drivers to drive long distances. We do however find some info by medical specialists on whether it is safe to fly after marathons having suffered injury. In Running & FitNews® the question was explored whether it is safe to fly again after having experienced deep-vein thrombosis (DVT) in the past. The short answer was yes, with several precautions in place. 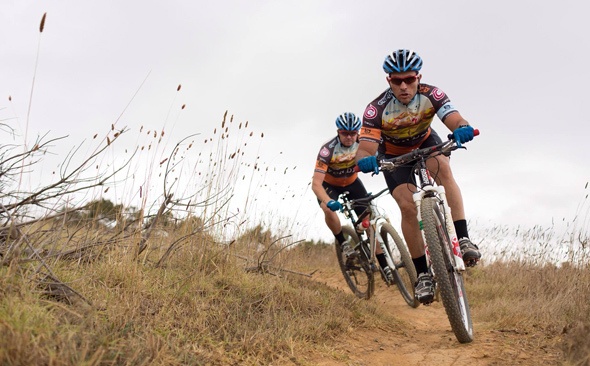 Athletes are advised to exercise vigilance in the crucial 24 hours after an endurance event, which may present an especially susceptible period of clot formation. This is also precisely when you are most likely to travel. Avoid prolonged periods of venous stasis by using active recovery. Athletes are advised to counteract the effects of air travel by performing hourly leg exercises, avoid crossed legs, and remain hydrated throughout the flight home. Many sportsmen and women are not as fortunate to have a flight available to take them home. 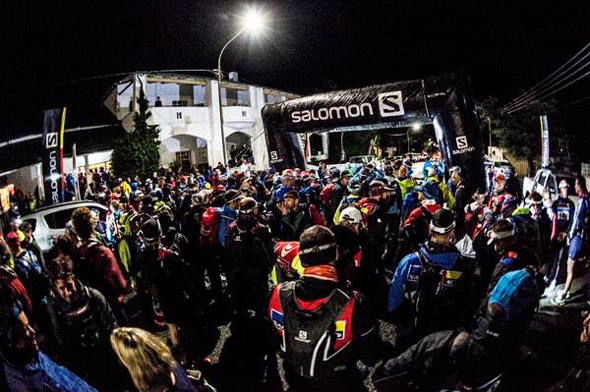 Some endurance events take place in remote areas – an example being the Salomon Skyrun, Southern Africa's toughest Mountain run, a 100km race across the Witteberg mountain range just off the south-west corner of Lesotho. Fewer accommodation options available increase the risk of competitors driving back home directly after the event. It is after these endurance events that special caution is required from competitors to ensure that driver fatigue does not prevent them from returning home safely! Studies have shown that our bodies and our minds are much more connected than we ever thought possible. On the road, we require a healthy body and an alert mind behind the steering wheel! When will endurance athletes returning home be most at risk? Sleep loss accumulates: A small amount of sleep loss on one night is not necessarily a problem, but what most of us don’t appreciate is that if you don’t get enough sleep for two or more nights in a row, then the effects build up. For example, if you go for 5 days getting 2 hours less sleep than you need, you will be 10 hours “in debt” (like a bank balance) and not safe to drive. Recovery takes 2 good nights of sleep: The good news is that we do not need to make up lost sleep hour-for-hour and full recovery from even severe sleep loss takes only two consecutive nights of uninterrupted sleep. The body clock and circadian rhythms: Alertness varies naturally across 24 hours in what is known as a circadian rhythm. Alertness is lowest during the night (particularly in the early morning between 2-6am) and increases during the day (although there is another dip or decrease in alertness after lunch) and this cycle repeats itself every 24 hours. Circadian rhythms are generated in the brain by a cluster of cells known as the body clock. Early morning – a time of the circadian minimum in alertness: Our circadian rhythm in alertness is the reason why we perform worst in the early hours of the morning and why tiredness-related vehicle accidents and industrial accidents are likely at this time. Anyone who has tried to stay awake all night knows that it is most difficult between 2-6am and then things seem to get easier. You feel better as the morning progresses because your body clock starts to swing back into daytime/ awake mode. Siesta time – a time of the circadian dip in alertness: After lunch between 3-5pm there a circadian dip in alertness that is sometimes known as the “afternoon slump”. Again, there is an increase in tiredness-related accidents at this time of day. 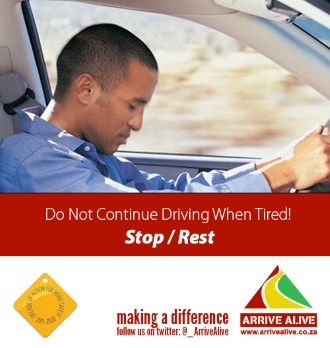 On the Arrive Alive website, we find several articles on driver fatigue, driver tiredness and drowsiness and we would like to share some of the most important info with our athletes and sportsmen/ women. Pre-planning before competing in an endurance event is of the utmost importance, not only to complete the event but also for the recovery thereafter and the return home! Train smart for an event, ideally over a series of months to ramp up your activity, and get a medical check-up to make sure it's safe for you to do so. Dress smartly, look at the weather, and plan ahead. Remember that the prime constituent of that driver fatigue is dehydration – stay hydrated during the event and thereafter. Plan the return travel allowing you a night of proper sleep or arrange for public transport or drive with a designated driver. Sports clubs should do everything possible to ensure the safety of their sportsmen and women as they prepare to get behind the wheel to travel hundreds and sometimes thousands of kilometres to compete in their sports. The club may consider compiling a handbook detailing the institution’s travel policies and guidelines and expectations regarding conduct and behaviour while travelling. An important suggestion is to have an annual workshop to discuss travel issues and share accommodation options. Review emergency procedures in the event of an accident and provide athletes with important telephone numbers they might need while on the road. Review guidelines for dealing with accidents, vehicle breakdowns or other road emergencies. Stipulate a policy advising against/ restricting members from driving during the potentially dangerous overnight hours of approximately 1 AM to 6 AM. Advise members to stop at hotels to get a good night’s sleep instead of being on the road when the risk of accidents due to a number of factors is relatively high. Advise members to change drivers every 2-3 hours to prevent or minimize the risk of driver fatigue. If possible, require clubs to have their older, more experienced drivers to do most if not all of the driving on long trips. Even though it may be impossible to enforce these guidelines a sports club should remain committed to sharing information on the risks so that athletes can make informed and safe decisions on the roads! What are the warning signs of driver fatigue/ driver tiredness? Remember, fatigue is a 'shared' hazard – a fatigued driver is a risk not only to their own safety but to the safety of other road users too. 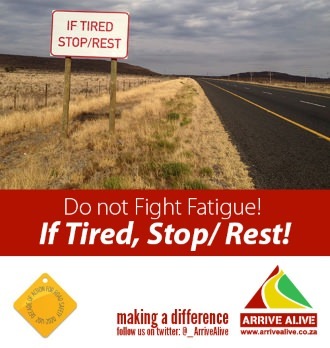 Don’t be part of the next statistic – manage your fatigue responsibly, and arrive alive. Driver Fatigue -Who is most at Risk?